Chicago’s co-working market has exploded in recent years, but a feature of many co-working leases could stall the industry’s growth. Co-working firms like WeWork include noncompete agreements in leases so competitors can’t open up in the same building. 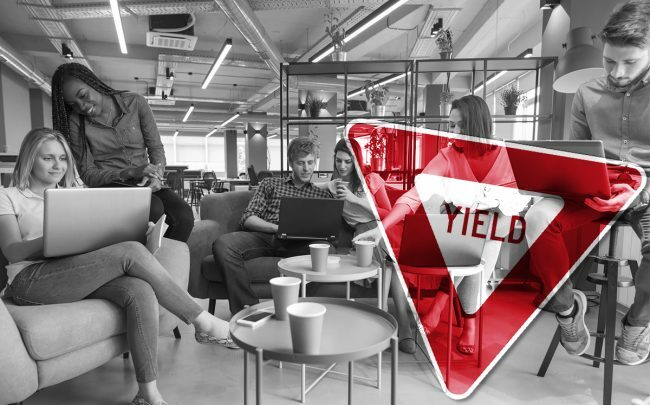 Those clauses mean that co-working firms now control 18 times the office space that they actually occupy, according to a Cushman & Wakefield report cited by Crain’s. Co-working offices now occupy 2.6 million square feet of office space in the city’s central business district, but over 43 million square feet is restricted by noncompetes. The co-working market has tripled its local footprint over the last four years, accounting now for about two percent of all leased space in Chicago’s central business district. A common clause in a lot of co-working firms’ leases with landlords — non-compete agreements — could soon severely limit where the industry can expand, according to Crain’s. After accounting for the noncompetes, only 22 out of 86 Class A office buildings in the central business district can accommodate co-working spaces, according to the report. As it stands now, there could be just five buildings available to lease to co-working firms there by 2020. The noncompetes could hamper the growth of what is an increasingly crowded and competitive co-working landscape in Chicago and elsewhere, Cushman analysts told Crain’s.